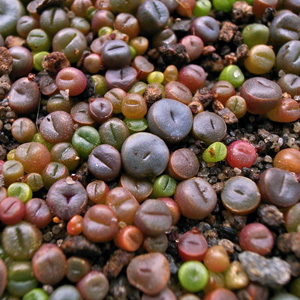 Fresh Lithops mixed seeds. Nice random mix to start your Lithops collection. Easy germination in the windowsill. 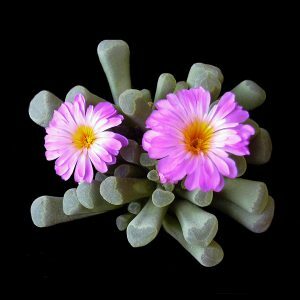 There are different methods to germinate Lithops and other Mesembs. Personally I have great success with germinating my Lithops in the windowsill at temperatures around 17 °C – 20 °C. 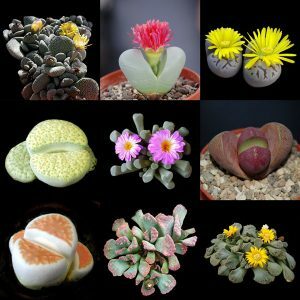 Lithops and other mesembs like bright light to germinate but they do not like direct sunlight or high temperatures for germination. As a germination soil I use 100% pumice (Bimskies) because it is clean (no mold formation or bacteria) and has a nice open structure. 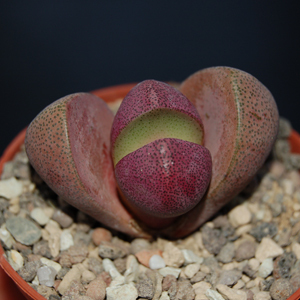 Lithops do not like to much fertilization either which makes pumice the perfect soil. I place the pumice in a small transparent plastic microwave tray with lid. Usually a 2 cm thick layer of pumice is good. I then mist the pumice until it is fully saturated with water but not soaking wet. The lid is placed on top of the tray and the tray is placed in the microwave for 1.45 minutes (900-1000 Watt) to sterilize the soil. After sterilization remove the tray from the microwave and let it cool down with the lid closed to prevent any new infections. Now remove the lid and spread out the tiny seeds evenly on top of the pumice. 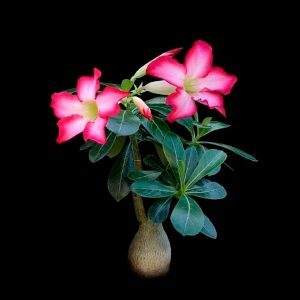 Do not cover the seeds with soil or anything else! The pumice structure is nice and open so the seeds will nicely settle between the particles. Do not mist the seeds. Just close the lid and write the name of the species and the date on the outside of the lid or on the side of the tray. Place the closed tray in your windowsill or other bright spot with temperatures of 17 °C – 20 °C. Keep the tray closed until most seeds have germinated. Usually germination is complete within 2 weeks. When your seeds have germinated you should ventilate the tray daily by opening the lid for a minute or so before closing it again. Slowly increase ventilation and temperatures until the lid is completely removed. Please note that the seeds may never dry out! Mist them in the morning or in the evening. The first year your Lithops seedlings can stay in the germination tray. 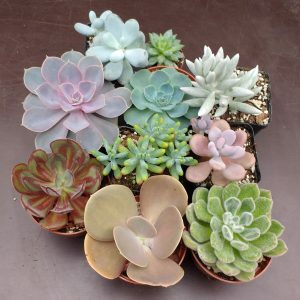 However when the plants start pushing each other and when it is getting to crowded in the tray then it’s time to transplant the Lithops plants in their own separate little containers. For older Lithops and mesembs I use 75% pumice with 25% regular potting soil. Remove any chunks of peat or wood by hand or by sifting the potting soil. 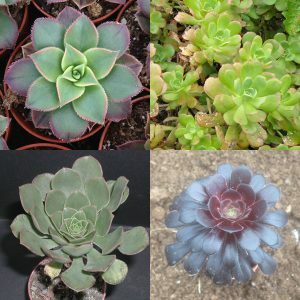 Lithops and mesembs and most other succulents do not like peat-based soils. 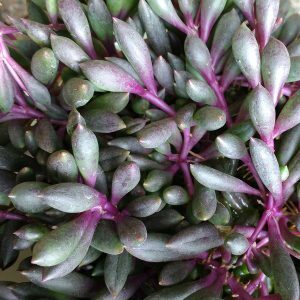 It retains water too long which can cause rot and mold and it attracts pests like mealy bugs larvae and other creatures you do not want. Have till now 4 out of 20 seeds within 7 days. Hopefully comes more!